If you have just paid for the monthly subscription and the decoder fails to reactivate automatically, this article will show you how to activate GOTV after payment and clear the e-16 error. There are several ways to go about GOTV Activation. Try one or all to see the one that works for you.How to Activate GOTV after Payment via messageSimply send ‘Reset Your GOTV account number to 22688. If everything else fails, contact GOTV through their facebook page or Twitter Handle and request them to help with GOTV Activation by resetting your decoder for. You’ll need to give them your GOTV account number. Here are the GOTV Customer Care Contacts in case you have come to this point and you still have not found a solution.If you are yet to make your payment. Here’s a post that’ll walk you through paying your GOTV bill via Mpesa, Airtel or Equitel. You just bought, installed and connected your GOTV decoder and are now wondering how to Activate it for the very first time. First, ensure that the decoder is switched on and that it has scanned for available channels.Now get your IUC number from the red sticker under your decoder. We’re going to use this for the activation. 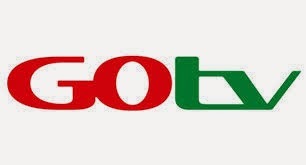 N/B: GOtv plus is one of the GOTV packages available. Read this article to see the GOTV packages available. To learn how to activate GOTV After payment in-order to clear the e-16 error, read this article. There are also a few things that you might be able to do by yourself to improve the signal reception. im happy on how the multichoice/go tv staff do their work especially on phone,they dont keep customers waiting with unnecessary music on line.i hope they will keep it up. Kindly reset my iuc 2021728217 just made a deposit of ksh.600. pliz am watchng less channels in my Gotv. i dnt av movies channel l i pay 850 per month. paid 842 mpesa confirmation code KDP9LI8BPV. Not reflecting, my account still suspended Why?? I paid my Gotv decoder IUC 2016065245 via M-pesa Ksh 850 confirmation sms KDM7KPXHMF on 22/04/2016 at 1935hrs but up to now it's still disconnected! i have tried to contact customer care for reconnection but every time they said "a problem has occured while reseting your decoder" then the next thing is "goodbye try later" and consuming airtime.Am disapointed in GOTV Services!! please reset ICU 2017488528 for gotv plus.Ihave paid ksh.949 but still not working.please help so that I don't waste money for nothing. …iuc no 2002968211 paid 650 yesterday but not working. Tell me why please. please activate my decoder,iuc 20171888278 have paid ksh 850.TELL ME WHY PLEASE. Kindly activate my gotv account iuc number is 2017533087, ive paid 160 pliz. Please reset my gotv account iuc 2017422992. Please activate my decoder IUC NO. 2016994875. Daniel your account has been reset. Hey John. GOTV plus is now 920 shillings a month. You can see how much you are supposed to pay by dialing *423# and following the prompts. Ensure your decoder is on while paying for an automatic reset. If after paying the balance you are still having the e-16 error, just comment below and I'll request them to reset your account. Can you please reset my decoder 2017762740. I've paid 850 twice and its still bringing the E16 error code! connect my decoder iuc number 2016856070. i paid but havent been connected yet. Kindly reset my go tv my IUC No. is 4623382982 have paid 699. Kindly reset my account 2014232571.i have paid 499/=.